What forms could life take? In a three day event, international artists and scientists will explore what forms of collective action could steer our technological present at a time when synthetic biology, climate engineering and algorithm-based models challenge established worldviews and the values of social coexistence. The increased speed and intensity with which technologies differentiate and shape life demand new attitudes and strategies. How do our socio-technological forms of life express collective aims and values and what criteria can be established to orient them? Technologies increasingly determine what forms of existence are possible on Earth. There is hardly any part of life that is not permeated by technologies – from global standards and norms, social and cultural codes, logistical systems and care networks to technological applications that expand human senses. Life Forms will use art and discourse to experiment with the Gestaltung of current and future forms of life in HKW’s auditorium, emptied of its standard seating and stage. Lectures and discussions, performances, visual and acoustic formats produce a constantly changing landscape. Two intertwined elements define the program’s structure: Choreographers Xavier le Roy and Scarlet Yu and 20 performers from their work Temporary Title, 2015 organize the space in varying constellations to explore processes of individual and social change. Their work questions the lines separating human/non-human, object/subject, and transformation/transition/modification. Amid this environment, science historian Sophia Roosth explores different approaches to the notion “life forms” in conversations with Luis Campos, Maria Chehonadskih, Hu Fang, Melody Jue and Elizabeth A. Povinelli. Woven into this structure, artists, practitioners and theorists will discuss ten speculative questions about the relationship between life and form in our contemporary situation. In How Long Is an Echo? literary scholar Louis Chude-Sokei analyzes the echo of the past and its technologies in present-day forms of life. In Who Do We Care For? psychosocial theorist Lisa Baraitser analyzes the institutional and temporal dimensions of social care work. In When Can You Call It Technology? philosopher of technology Yuk Hui discusses technologies against the backdrop of their historical development and correlating worldviews. 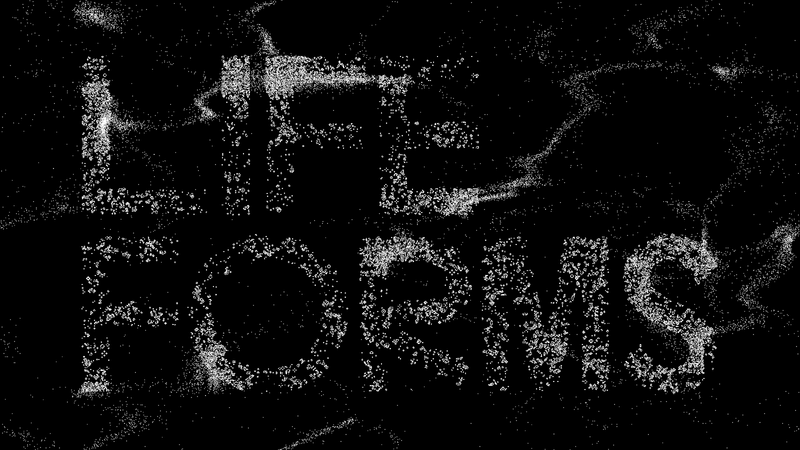 Life Forms is the last event of the Technosphere research project, which has been dealing with the dilemma of the increasing interconnections of human culture, natural environments and global technologies since 2015. The online publication Technosphere Magazine issues project-related thematic dossiers that now encompass 130 essays, academic and artistic articles, and tie them together into new narratives about the Technosphere. The final publication, Technosphäre, will appear on April 17, 2019, as part of the HKW book series 100 Years of Now Library. Life Forms is Part of The New Alphabet (2019–2021), funded by the Federal Government Commissioner for Culture and the Media based on a ruling by the German Bundestag. Technosphere (2015–2019) collaborates with the publishing platform continent. toward experimental communication of project outputs.